Birds, mammals, scenery, geology, geysers, hot springs and a full solar eclipse! Our tremendous tour of Yellowstone and Grand Teton National Parks takes place in high summer every year, and is always extremely popular. We visit spectacular locations to see a fantastic range of birds and mammals, with time also allocated to the natural geological wonders of this wonderful place. This relaxed, non-intensive holiday gives you the chance to experience Yellowstone in all its grandeur. Visiting three States (Montana, Wyoming and Utah), you will enjoy a comprehensive tour of all the key places, and have an excellent opportunity to see Gray Wolf, both Grizzly Bear and Black Bear, Beaver, Moose, Elk and much more, including a wide range of birds. You will love the open spaces and vistas, where your expert guides will help you focus on nature amidst a real feeling of solitude. As an extra benefit, our tour ends at the bird-rich migration grounds of the Great Salt Lake, where hundreds of thousands of summer-plumaged waders can be found. In 2017, our holiday is timed to coincide with a wonderful extra opportunity, the prospect of a full solar eclipse! The eclipse will take place on Monday, 21 August, and will be seen across a broad swathe of the USA. For this second departure to coincide with the eclipse we have added two extra nights to our standard itinerary, and will transfer to a fabulous location in a region where 'totality' is due for over two minutes. NB: by timing our holiday carefully so that we experience the eclipse towards the end of the tour, we retain the best chances of seeing wolves, which can be elusive in late August and September. If Yellowstone is on your 'must do' list, the chance of combining the natural wonders of this fantastic place with a full solar eclipse is a once-in-a-lifetime opportunity. 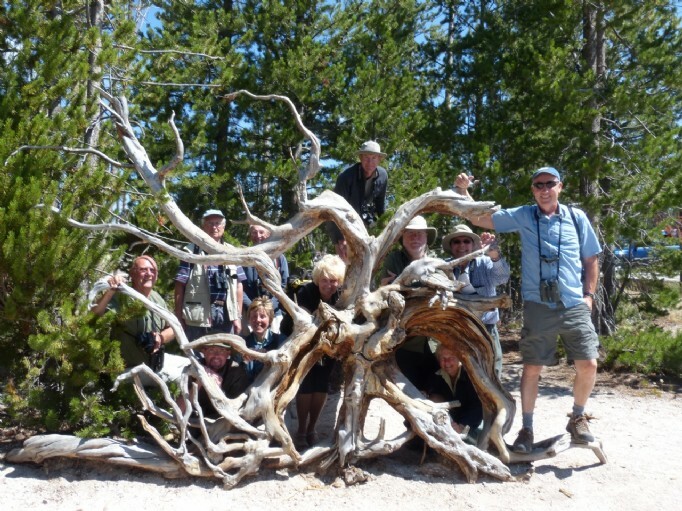 Spaces are strictly limited to twelve clients on this tour, with two leaders and two vehicles. We use very good quality accommodation, and predict this tour will fill quickly! Summer is a time of abundance in Yellowstone, and we should see high numbers of mammals every day. Gray Wolf, Black and Grizzly Bear, American Bison at the rut (we are here at the peak time for this), Red Fox, Coyote, Pronghorn Antelope, Bighorn Sheep, Elk, Moose, Mule Deer, White-tailed Deer, River Otter, American (Pine) Marten, American Beaver, American Badger – no wonder Yellowstone has been compared to a safari in Africa! Our recent holiday produced excellent sightings of wolves and both bear species, something not guaranteed by any means, but much more likely with expert guidance - see our Trip Report! While Yellowstone is best recognized for its mammals, birds are spectacular too, and we plan to find many classic species such as Trumpeter Swan, White-faced Ibis, Dusky Grouse, American Three-toed Woodpecker, Western Tanager, Black-headed Grosbeak, Bald Eagle, Golden Eagle, Steller’s Jay, Sandhill Cranes with growing young, Wilson’s Phalarope, Eared (Black-necked) Grebe, Red-naped Sapsucker, Red-breasted Nuthatch, Cordilleran Flycatcher, Mountain Bluebird, Clark’s Nutcracker, Barrow’s Goldeneye, American Dipper, Western Tanager, Lazuli Bunting, Ospreys almost daily…. There is a long birdlist! We explore the geyser basins, where 25% of the world’s major geysers are clustered in a scenic two mile long valley. We take a boardwalk trail through the basin, watching 'Old Faithful' (the most famous) and other geysers including perhaps 'Riverside', which arches over the Firehole River when in eruption, or 'Grand', which jets to almost 200 ft high.Other geological highlights include the Lamar and Hayden Valleys, the dramatic Upper and Lower Falls of the Yellowstone River, and a great birding raft trip on the Snake River. We also visit the 10,000-foot mountain pass that crosses the great Beartooth Plateau to see some of North America’s finest scenery. Unlike most Yellowstone itineraries, we include a major birding spectacle at the Great Salt Lake, where wetlands of worldwide importance are critical for migrating shorebirds. You should see many tens of thousands of Eared (Black-necked) Grebe, American Avocets and Wilson's Phalarope amongst many more waders; over a million birds seen on our last trip! We then navigate a circular route to Yellowstone via Jackson and the spectacular Grand Teton National Park en route. A tremendous safari of the wildlife of the American west! Unique Yelleclipse opportunity! The most favourable area for 'totality' is actually a few hours south of Yellowstone National Park itself, so we have dedicated a couple of nights in exactly the right place to maximise our chances of the best possible experience. Heatherlea have excellent contacts in this part of the world, and the feeling among our friends in the USA is that the area around Dubois, directly in the path of the Total Solar Eclipse, is likely to be best, and we will have special glasses to view safely with viewing time of about 2.5 hours! Our remote valley location in Grand Teton National Park is the perfect place to be, and rugged red rock badlands adjacent to the river form a lovely foreground for our wide-open view. See the 'Eclipse 2017' webpage here, or read the extract below! We meet at Heathrow airport, and once checked in can enjoy our comfortable VIP airport lounge. 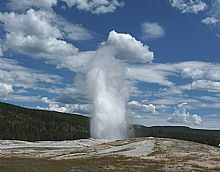 While our return flight is direct from Salt Lake City, today we take two flights, arriving in the town of Billings late in the evening, conveniently close to Yellowstone National Park at the beginning of our holiday. After our late arrival in Billings the night before, we have a leisurely day to allow you to recover from travelling. We will enjoy birding at Two Moon Park, a lush area along the Yellowstone River where trails await under tall shading trees. This is an important nesting area for many species including Red-eyed Vireo, Yellow-breasted Chat, Western Screech Owl, and American Redstart. At this time of year, the first fall migrants are also coming through. We enjoy the morning here, and give you a break after lunch to rest. Mid-afternoon, we drive a loop route through the prairie, where we may find Prairie Falcon, Lark Bunting, Ferruginous Hawk and other open-country species. An early highlight of our tour will be the magnificent high alpine country atop spectacular Beartooth Pass where we find birds and wildflowers. This extraordinary drive is one the most scenic in North America, a wonderful way to visit this unique landscape and a great early highlight of our tour. If we can tear our eyes away from stunning views of both the Beartooth and Absaroka Mountain ranges, we’re likely to see alpine birds such as Black- and Gray-crowned Rosy Finch, American Pipit, Horned Lark, Merlin, Northern Goshawk, and more. Clark’s Nutcrackers, Yellow-bellied Marmot and a herd of Rocky Mountain Goats frequent the rest stop at Rock Creek. We have the full day to make this spectacular crossing, arriving at our lodgings for the next three nights in the small, scenic mountain town of Cooke City, where several residents put out hummingbird feeders – we expect Rufous and Broad-tailed Hummingbird here. Accommodation for three nights at Cooke City, Montana. From our base in Cooke City we have two full days to explore the Lamar Valley. We hope to observe Mountain Goat, Mule Deer, American Elk, Bighorn Sheep, Pronghorn and American Bison, which all have young at this time of year, and all are wary of possible predators. We may find Gray Wolf activity here, as several of the packs are found in or near Lamar. We also explore Mammoth Hot Springs, the lowest elevation site in the park where we enjoy a picnic lunch. Here we look for Mountain Bluebird, Townsend’s Solitaire, and the beautiful Lazuli Bunting. We might enjoy some geo-thermal sightseeing around midday, when the animals are less active. With luck we may find Coyote hunting, travelling, and possibly feeding young. From the Northeast Entrance near to Cooke City we can readily explore several lush rivers where birds abound: at several locations we seek American Dipper, and search for woodpeckers including Common Flicker, Hairy, and Northern Three-toed. Belted Kingfisher frequent the river, and surrounding mixed conifer forests are especially good for Western Tanager, Red Crossbill, Pine Siskin and possibly Pine Grosbeak. River corridors that parallel the park roads are often filled with herds of American Elk and Bison, all with young, lounging in the summer sun. Great Blue Heron sometimes fish the stream, and with luck we’ll see Cinnamon Teal, Sandhill Crane and Tree Swallows. On one evening, enjoy a free night in a western town which has a wide selection of shops and restaurants, with dinner at your leisure (you can of course eat with your guides if you wish). We have the next three days to enjoy the marvels of America’s first National Park from one of its finest historic hotels on the shore of Yellowstone Lake. 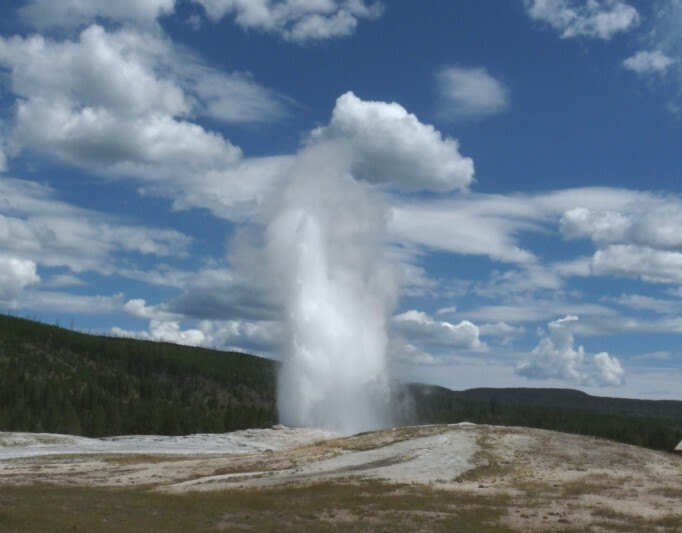 The eruption of 'Old Faithful’ Geyser, one of many that we see in several famous geyser basins of the Park. We check times posted for the eruption, and spend half a day in the basin, hopefully witnessing at least two Old Faithful eruptions. Other geysers are impressive and beautiful to see, as are the many hot springs, which are every colour of the rainbow! Views of Bald Eagle and Elk along the Madison River, a lush corridor where we often find Trumpeter Swan, a variety of waterfowl, and abundant elk. Our search for birds and wildlife as we visit places which look as great as they sound; Swan Lake Flats, Norris Geyser Basin (hottest in the park), Gibbon Falls, and Madison River at one of the Three Forks of the great Missouri. The awesome spectacle of the Grand Canyon of the Yellowstone River, and its famous Upper and Lower Falls, considered by many to be the most beautiful in the American West. The falls have become an iconic image, famous subjects for artists and photographers alike. With luck we may see River Otter, and Bald Eagle and Osprey can be spotted circling in the area. The rutting season of massive Bison may result in a wildlife traffic jam if they decide to block the road! Near Tower Falls, we look for Prairie Falcon, Clark's Nutcracker and Northern Goshawk. Peregrines often nest on the cliffs near Tower Falls. This is a good area to watch for Black Bear with growing cubs. Red-naped Sapsucker, Brown Creeper, Red-breasted Nuthatch and Cordilleran Flycatcher are often found in this area. Not least, we search for both Black and Grizzly Bear and Gray Wolf in the wide open terrain of Yellowstone’s expansive Hayden Valley. Here raptors include Northern Harrier, Rough-legged and Ferruginous Hawk, as well as Golden Eagle. 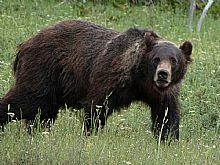 Our chances of both bears are excellent, and we often enjoy several sightings, particularly if there is a conveniently located kill. Gray Wolf are also likely, and though the packs are on the move with fast growing pups now able to roam, our local guides consult their network of local contacts for recent sightings, to give us the best chances. Splendid views and great birding from our lodgings at Yellowstone Lake, one of the most beautiful locations of the Park. Common and Barrow’s Goldeneye and other waterfowl species occur in large numbers in quiet bays and coves. Western and Clark’s Grebe and American White Pelican are frequent sightings. Accommodation for 3 nights at Yellowstone Lake. (1 night’s dinner at leisure). From Yellowstone we head south, enjoying our first prolonged view of the stunning Grand Teton Mountains, perhaps the most spectacular range in the Rockies, rising abruptly from the valley floor and towering 5000 feet or more over the landscape, displaying their wonderful jagged crestline. We keep the mountains in view while watching for Sandhill Crane, Golden Eagle, and possibly other raptors as we drive. 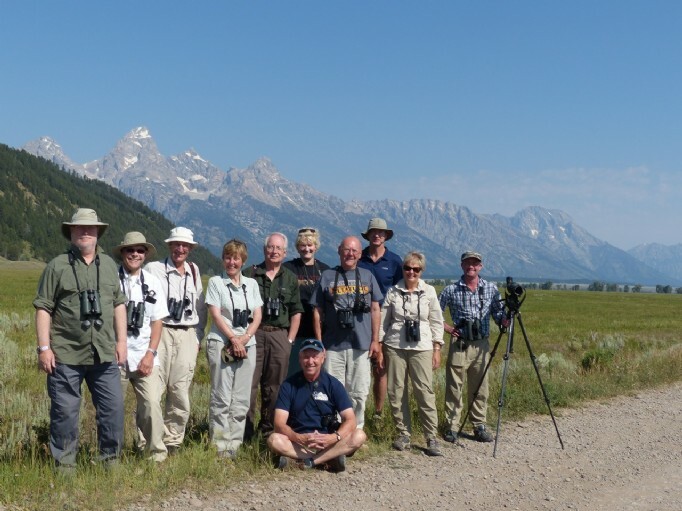 We have two full days to explore the Grand Teton National Park, considered to be amongst the top National Parks in the US for watching birds – perhaps in part for its background scenery! Here we search for Ruffed and Dusky Grouse, American Three-toed Woodpecker, beautiful Western Tanager, Black-headed Grosbeak and a host of western wood warblers. Just outside our lodgings, tall conifer trees attract Olive-sided Flycatcher, Gray Jay, Cassin’s Finch and Red Crossbill. A short walk along the lakeshore often reveals MacGillivray’s Warbler, Western Warbling Vireo, or Osprey over the waters. 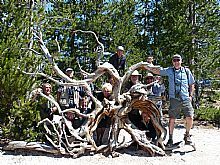 Atop Signal Mountain we have a 360-degree view of magnificent mountains and a good chance of finding Green-tailed Towhee in the sagebrush, and along the conifer forest edge, Dusky Grouse. One evening we take a scenic raft trip on the Snake River (not energetic), where we hope to encounter American Beaver, Moose and nesting Bald Eagle. Just outside the classic western town of Jackson, we walk a short boardwalk trail through a marsh of the National Elk Refuge, where Yellow-headed Blackbird and Marsh Wren scold. Northern (Hen) Harrier can be seen here too. Trumpeter Swan may have cygnets this time of year, and with luck we may find Canvasback, Redhead, Green-winged Teal and other ducks. Other birding hotspots hold MacGillivray’s, Yellow-rumped and Orange-crowned Warblers and Common Yellowthroat in the willows, and in the adjacent forest Hammond’s and Dusky Flycatchers, Mountain Bluebird, Mountain Chickadee and Ruby-crowned Kinglet. We venture into historic Jackson Hole, known for its fine restaurants and shops, nightly rodeo and western flair, and spend two nights here in comfortable accommodation. DAY 11: Sunday August 20 - Southern Yellowstone / Togwotee Pass / Wyoming’s Wind River Valley Today we head south and east, crossing scenic Togwogtee Pass south of Yellowstone, into the magnificent Wind River Valley. Tall sculptured peaks of the Absaroka Mountains tower over verdant irrigated hayfields. This is beautiful western ranch land and we stop in Dubois for lunch and a chance to look for Bighorn Sheep of the renowned Whiskey Basin herd. Bighorn Sheep were important to native people and we see petroglyphs from centuries ago. We stop at several good birding stops along the famed Wind River. Our lodgings the next two nights are in Lander, on the southern end of the Wind River Valley, just where we need to be for tomorrow’s eclipse! DAY 12: Monday August 21 - The Solar Eclipse in Wyoming’s Wind River Valley! The Wind River Valley strides the path of the eclipse, and today we take in this impressive spectacle! The valley is broad, with a lush, winding riverine forest, and conifer forests at the valley sides, making it a great place to see Moose and other wildlife. American Dipper frequent the streams, Mountain Bluebirds brighten the sage, and Osprey are active with fledged young around a string of valley lakes. The actual crossing point on the path of Total Solar Eclipse is south of Dubois and north of Lander, two small Wyoming communities just south of Grand Teton National Park. We gather at an excellent spot for viewing, and have special glasses to view safely with a total viewing time of about 2.5 hours! This remote valley tucked between Grand Teton National Park and Lander is the perfect place to be. Rugged red rock badlands adjacent to the river form a lovely foreground for our wide open view. All this, great birds and wildlife, and the eclipse! We celebrate in western style. We cross the Continental Divide today on a scenic route over South Pass, route of the historic western pioneer route known as the Oregon Trail, as we head to Logan, Utah, a popular and scenic college town. En route we leave the mountains, passing through open sagebrush grasslands, and then climb again on a scenic road to cross a high pass, where vistas abound. We check hummingbird feeders where we should find high numbers of both Rufous and Calliope as they start their southward migration. A variety of passerines including grosbeaks, chickadees, sapsuckers, Cedar Waxwing and finches should now be commonplace, but this is a good chance to pick up great views. Overnight in Logan, UT (B,L,D). This morning we continue towards Salt Lake City, and en-route visit a highly productive wildlife refuge. Here we drive a route through expansive freshwater marshes formed by the emptying of the Bear River into the Great Salt Lake. Concentrations of waders and waterfowl at this refuge can exceed the imagination. We may also find secretive Virginia Rail, Sora Rail, Marsh Wren and possibly Short-eared Owl. Driving along the back roads of the refuge, with mountain vistas all around, we look for White-faced Ibis as well as American White Pelican, California and Franklin’s Gulls, Caspian Tern, and a variety of herons, egrets, American Avocet and Black-necked Stilt. We may also see Sharp-shinned Hawk, Belted Kingfisher, Common Nighthawk, Common Yellowthroat, Yellow-headed Blackbird, and both Western and Clark’s Grebes from a scenic picnic spot. The highlight on a recent trip was beautiful California Quail. Accommodation is in hotels or lodges with all rooms en suite. All are spacious, have en-suite facilities, and are very comfortable to a good standard. Food full-board accommodation at hotels and lodges (as specified) including picnic lunches. Vegetarian and other diets are welcome. Weather Summer can be very hot, 80 - 90 degrees Fahrenheit (25-30 C), particularly during the Salt Lake City part of the holiday. Despite the daytime readings, summer evenings are cool. Night time temperatures average between 30 and 40 (0-10 C) but may drop into the low 20s (5 C). As with many western regions, summer afternoon thunderstorms are common. Flights return scheduled flights from London – Billings, Salt Lake City - London. Return flight is direct, outward flight involves one change. We may be able to offer flight arrangements from another airport and/or or quote without flights so you can make your own arrangements. If you wish to add an extension either before or after your holiday, please contact us and we will be happy to arrange this for you. Visa Travellers are required to obtain authorisation (known as ESTA) before arriving at the airport and can apply online. The application process should take around 20 minutes, and authorisation is normally granted immediately but may take up to 72 hours. Once granted, authorisation is valid for two years. At the time of writing the Esta application charge is $14. Greg is a highly experienced American tour Leader, and has led natural history and birding tours in for Heatherlea throughout the USA. Recently retired after a 27-year career with the California State Park System, Greg was superintendent of eight park units, focusing on education on the importance of preserving natural and cultural resources. 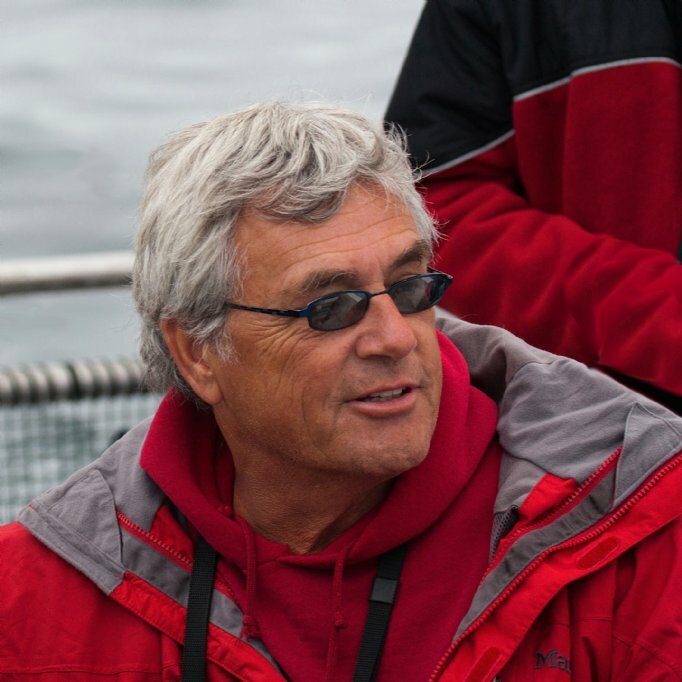 An accomplished wildlife photographer, he also maintains a U.S. Master Bird Banding permit. We are delighted to welcome Greg to Heatherlea once more. Peter is a professional eco-consultant, and very experienced Heatherlea guide, having led for us throughout the world, including Florida, Arizona, the Caribbean, Kenya and the Arctic. 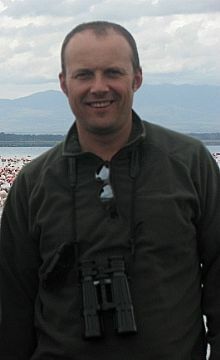 Of all our Strathspey-based guides, he is the one most noted for finding rarities and spreading the news! Pete is very much looking forward to your company in Yellowstone. * return scheduled flight from London, airport taxes, transfers from and to airports (where appropriate). * ground transportation as outlined in a modern and spacious air-conditioned vehicle. * accommodation and all meals (as specified), including breakfast, lunch and dinner. * The Heatherlea Pre-Flight Service offers everything you need at the airport, including hotels, car parking, airport lounges, regional flights, and upgrades. Let Heatherlea take the strain! Pre-flight airport hotel and lounge included free of charge subject to terms and conditions. Read more..
* personal insurance, drinks and other personal expenses, esta costs where necessary, optional tips to the local guide, hotel/restaurant staff, and any other costs not specified as 'included'. * three dinners at your leisure as detailed in the above itinerary. * We have been organising birding and wildlife holidays for 27 seasons, and have a highly experienced and capable office team. We also offer a telephone and email service outside normal office hours. American Dipper courtesy of Carol Rivchun. Photo of Peg, Coyote eating Ground Squirrel and most scenic pics courtesy of Peg Abbott/Naturalist Journeys. Please note: all itineraries are given as a guide only. Actual holiday content may vary according to the judgement of your Leader, and elements beyond our control (eg weather).